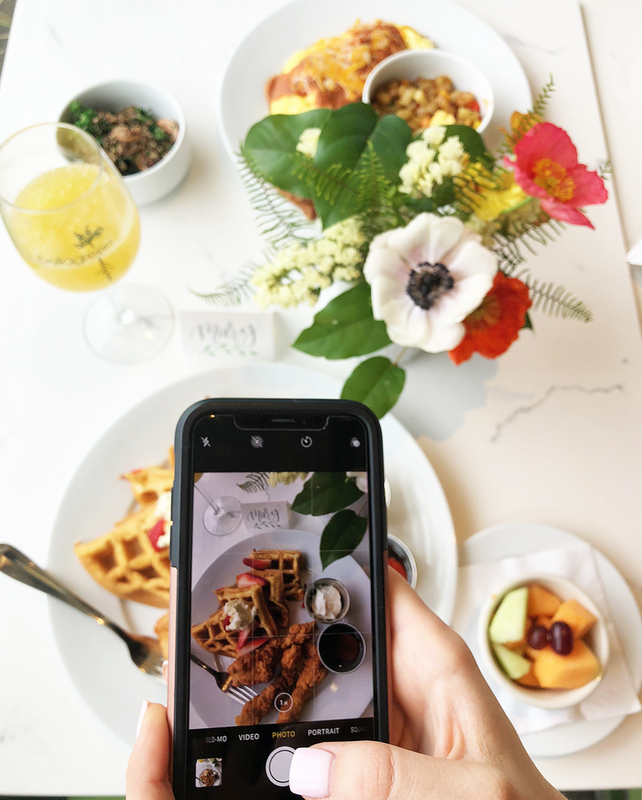 Each month, Dallas Blogger Brunch is hosted at a different restaurant in Dallas, and our March brunch was at the new Bellagreen in Dallas! 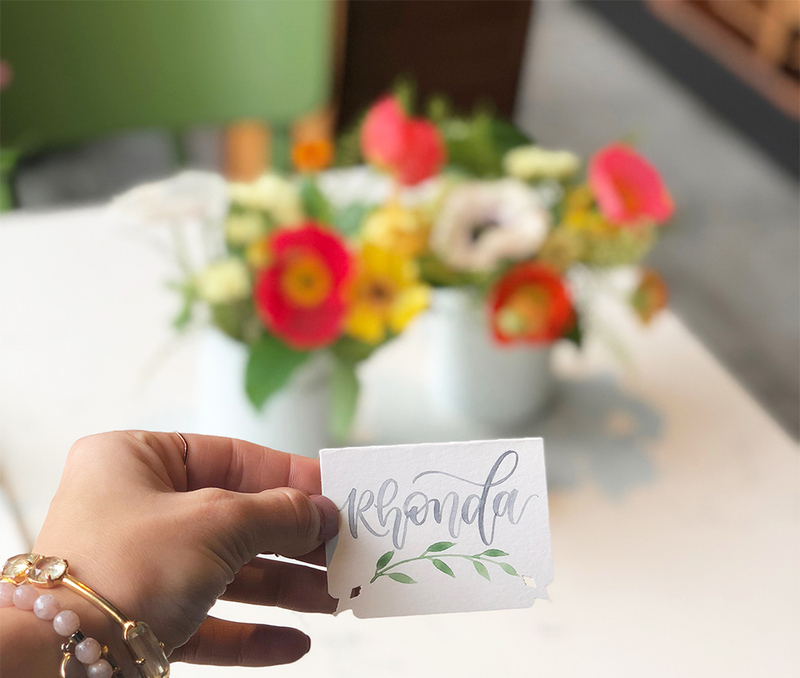 We celebrated spring with beautiful blooms by White Wing Floral and the cutest place cards from Libby Denniston. 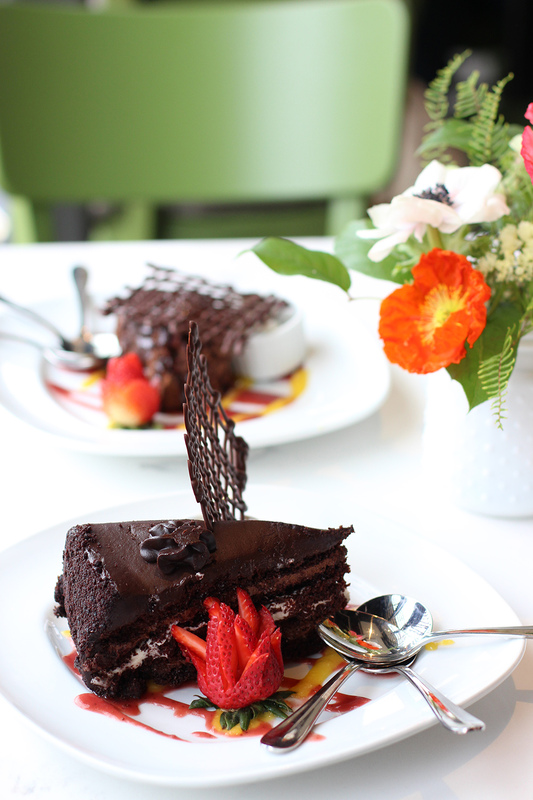 Bellagreen's space is colorful and fresh, just like their food! The "green" in their name is a nod to being environmentally friendly (not to salad), which I love! Everything we tried was delicious! I've had their sweet potato hash before, but I had to order their Chicken & Waffles for brunch! We started with mimosas and a few appetizers, and after our entrees came out, we were surprised by the Bellagreen team with dessert. A lot of it. Every single one of their desserts! So now I can say from experience that I highly recommend all of their desserts! The desserts were beautiful and each of them were delicious! 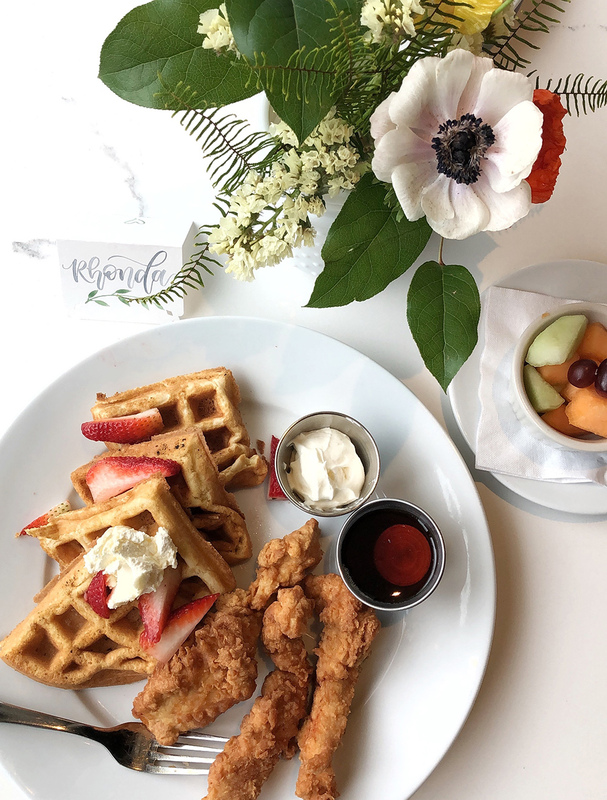 If you're looking for an easy weekend brunch spot (that doesn't require valet parking! ), then you should definitely try Bellagreen! Thank you to Bellagreen for hosting Dallas Blogger Brunch!